It’s officially spring and school is out! If the beach is out of reach, don’t worry! There is so much to do and see in the Capitol City and it won’t break the bank! 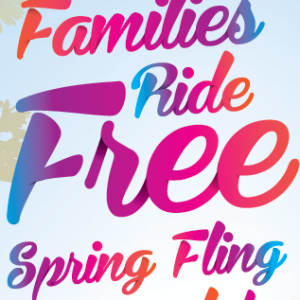 During spring break Topeka Metro is partnering with businesses throughout Topeka to provide free transportation and entertainment discounts! Families can ride all fixed routes for free from March 17 until March 25. For more details, visit http://bit.ly/2nk6k9x. 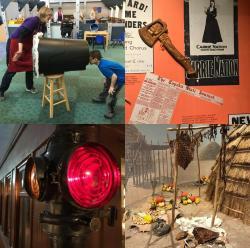 One of the stops on the list is the Kansas Museum of History. This isn’t a plain Jane museum - realistic exhibits of tee-pees, a train and a retro McDonald’s sign make the museum visually appealing! But if you prefer to take your time reading, detailed information is listed beside each exhibit. The Kansas Children’s Discovery Center is hosting Spring Break Air-a-Thon! March 17 – 25 you can experience a different type of extreme educational exploration every day! (Don’t forget you can save on admission to the Discovery Center when you sign up for a Vacation Value Card (open to residents outside Shawnee County). Memberships are also available so you can visit all year long! Throughout the week Gage Park is running the mini-train! The train takes you around the picturesque park and even goes through a tunnel. Conductors always have great stories to tell about the history of the park. After riding the train, burn off energy at the park or check out what the animals are doing. It’s not uncommon to see a bear up in a tree near the northeast corner of the Topeka Zoo. Some say you can even see the bears from outside the zoo at 6th and Gage! Make sure to bring a jacket as the weather can be quite fickle! If you’re downtown, Field of Greens has a great sandwich and salad selection. The sandwich shop is just a short walk away from the Capitol lawn. Enjoy a picnic, draw or listen to the birds. The Capitol is the most beautiful place in Topeka, inside and out. After lunch, soak in the grandeur of the recently renovated Capitol. Tours are always free and seeing Topeka from the top of the dome is priceless.